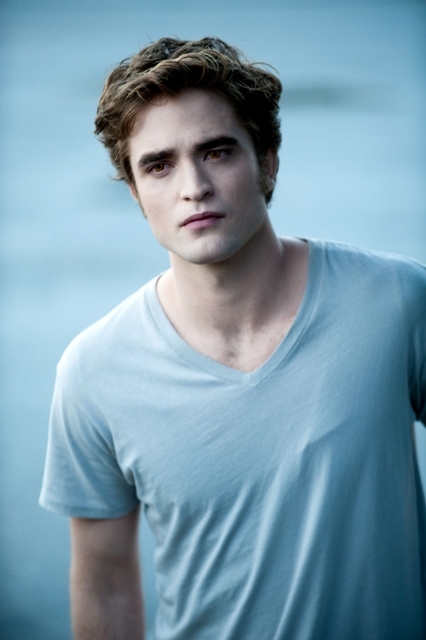 The sweetness of the love affair between Edward and Bella in the famous field. Rat Pack, Brat Pack and now, Wolf Pack! Robert Pattinson and Kristen Stewart star in THE TWILIGHT SAGA: ECLIPSE. Kristen Stewart (Bella) and Taylor Lautner (Jacob) at the campfire scene. The grand patriarche of the Cullens(Peter Facinelli) and grand matriarche, wife Esme Cullen (Elizabeth Reaser). Paul (played by Alex Meraz) is one of the bigger wolves with grey fur. 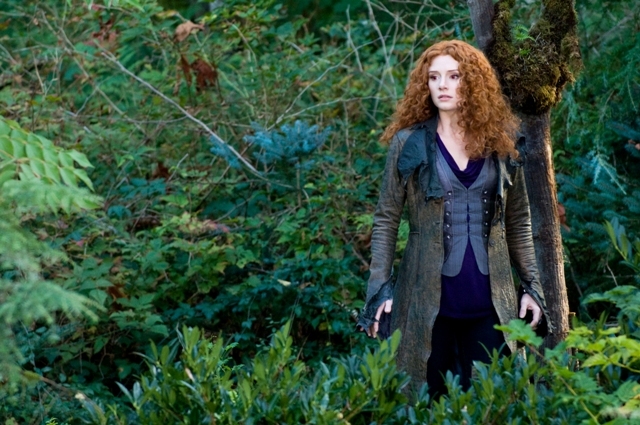 Bryce Dallas Howard replaces Rachel Lefevre in the role for the third film, The Twilight Saga: Eclipse. 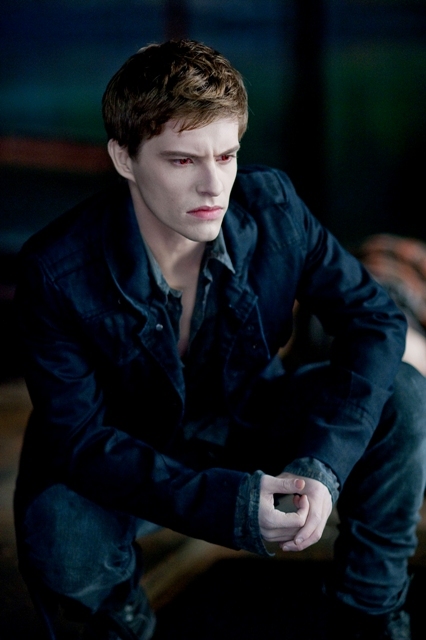 Riley is described as a “good-looking college student” and is portrayed by Australian actor Xavier Samuel. Director David Slade at the helm of The Twilight Saga: Eclipse, the third installment in the series of movies based on Stephenie Meyer’s blockbuster books. 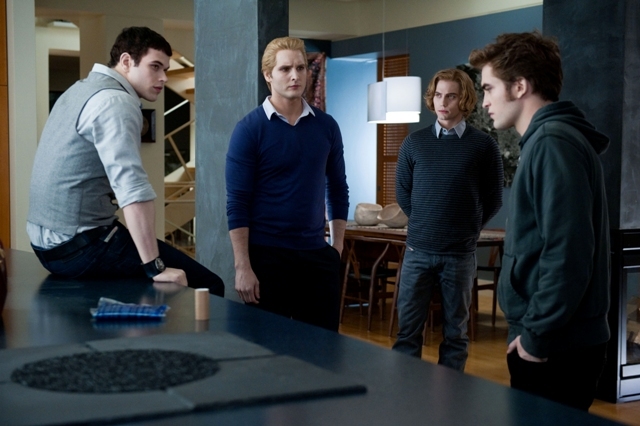 Jacob, Bella and Edward fight & scheme all throughout the Eclipse movie after Victoria returns! Bella (Kristen Stewart) and Edward (Robert Pattinson) finding it hard to sleep! 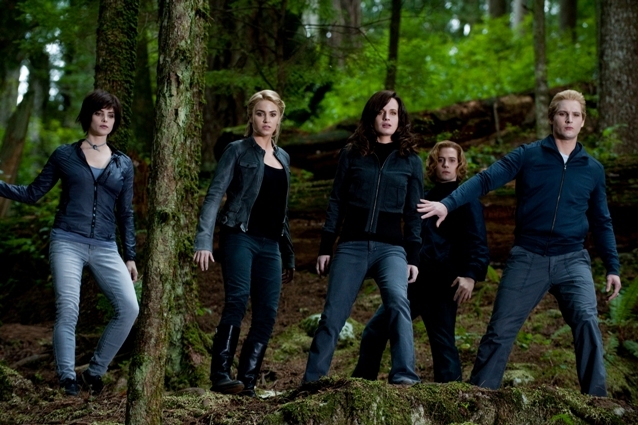 Is it the Cullens or a jeans promo? 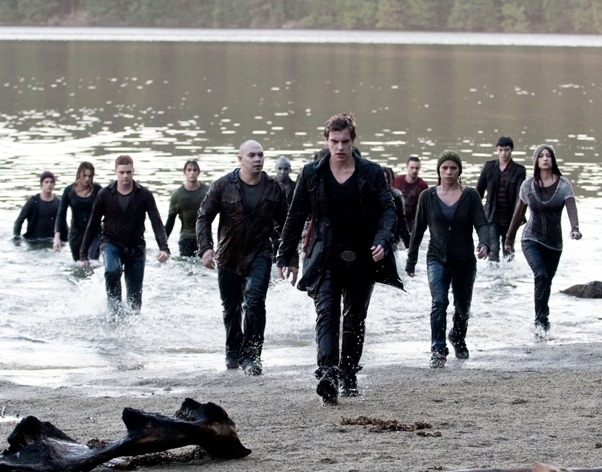 The newborns arrive in Forks. 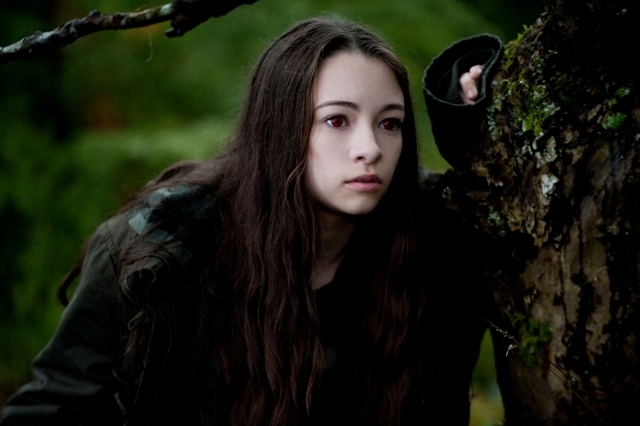 Leah Clearwater (played by Julia Jones) is the only known female shape-shifting wolf in the history of the Quileute tribe. 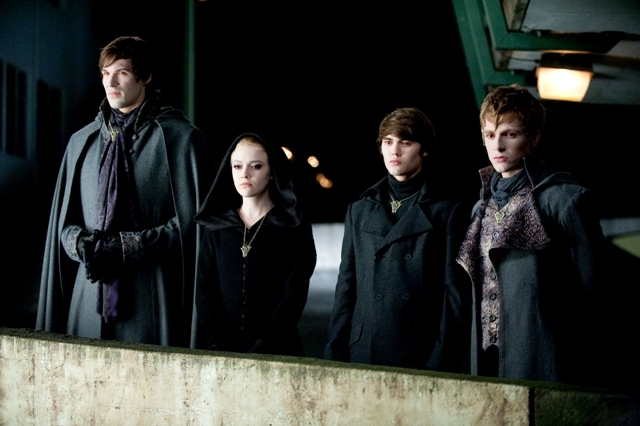 The vampire coven Volturi live in Volterra, Italy, and are regarded as “royalty” by other vampires because they have lived for well over 3000 years and act as police, enforcing the rule that vampires’ existence remain a secret from humans.